Nozawa Onsen is a pretty magical little ski town. We look forward to welcoming you. There are several ways you can get to Nozawa Onsen. We highly recommend using our Shuttle Bus Service, as this shuttle will take you all the way from the airport, to your hotel or inn. Save the hassle of carrying your luggage – it’s too easy! If the shuttle bus does not suit we have other options listed below, plus some helpful information from the staff at Nozawa Holidays. 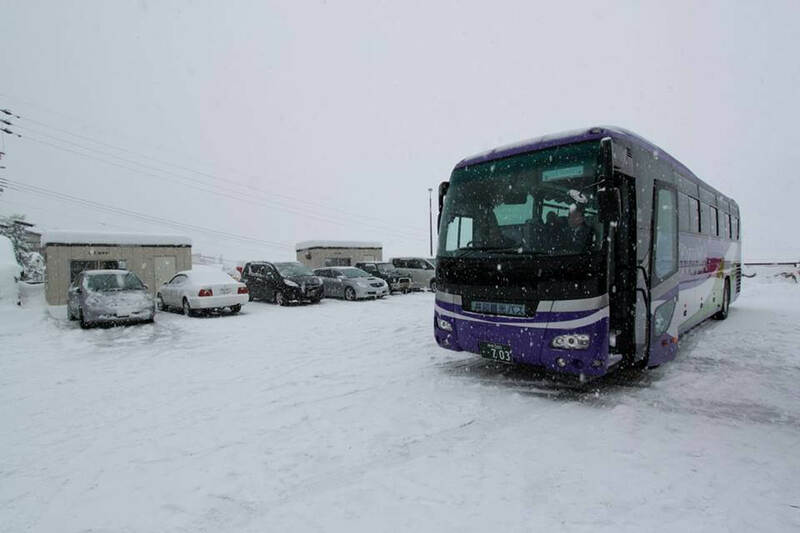 The Snow Shuttle which you can book with Nozawa Holidays is a very easy way to get to and from Nozawa from the Airport. The shuttle also stops in Tokyo on the way back. Snow Shuttle: 4 Services per day at the peak season. Cheaper than the Chuo Taxi and easier than the train if you are arriving in the evening. 233,000 Yen for up to 20 passengers, so a great option if you are a group. Just let us know if want to book the direct shuttle bus. There is a great shuttle service from Tokyo or Nagoya Airports. Costs from Tokyo Airports is from 15,200 yen per person each way Narita. If you cant call in Japanese upon arrival there is an additional ¥1,000 charge for a welcome board at the exit. It takes 5-6 hours from either Airport to our door. The name of the shuttle is Chuo Taxi. Koide-san is the English speaking assistant there. Just over two years ago train travel too Nozawa Onsen got a whole lot faster! When a new Shinkansen or Bullet Train was opened to operate to nearby Iiyama Station. It took a whole hour or a little more off the journey and you can now get to Nozawa Onsen by train in about 2 Hours and 30 Minutes! The old trip which I have done so many times over the years was however more romantic with a slow old diesel Train from Nagano to Togari Nozawa Onsen station. That still runs to Iiyama station if have the time. 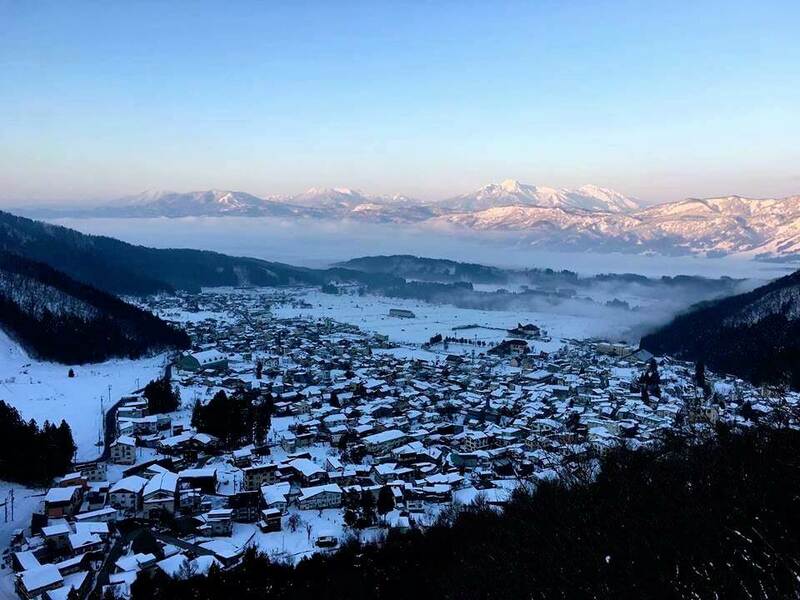 Either way you then take the Nozawa Onsen Liner Bus for 600 Yen from Iiyama station up to Nozawa Onsen, or alternatively a Taxi for about 5000 Yen. 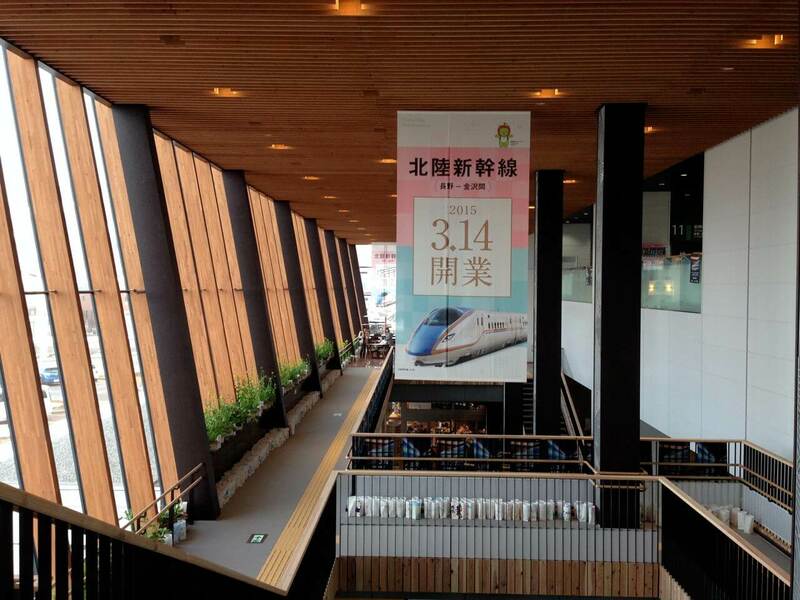 The New Iiyama Shinkansen Station is beautiful and the speed at which you can now reach Nozawa Onsen amazing. Best to call when getting on the bus at Iiyama Station. It is a 20 minute ride away. Parking and moving around in a car in Nozawa Onsen is not that practical. Do the earth a favour and take the train or shuttle! Guests living in Tokyo, Nagoya and Osaka often come up to Nozawa by car. It is possible and good if you have a big group or think you want to drive to other resorts or villages in the area for day trips. Not many overseas guests will come up by car as it can be a bit tricky to navigate and you will not need a car when in Nozawa Onsen. It is a very compact town and you can walk everywhere easily or if you need take the shuttle bus or a taxi. 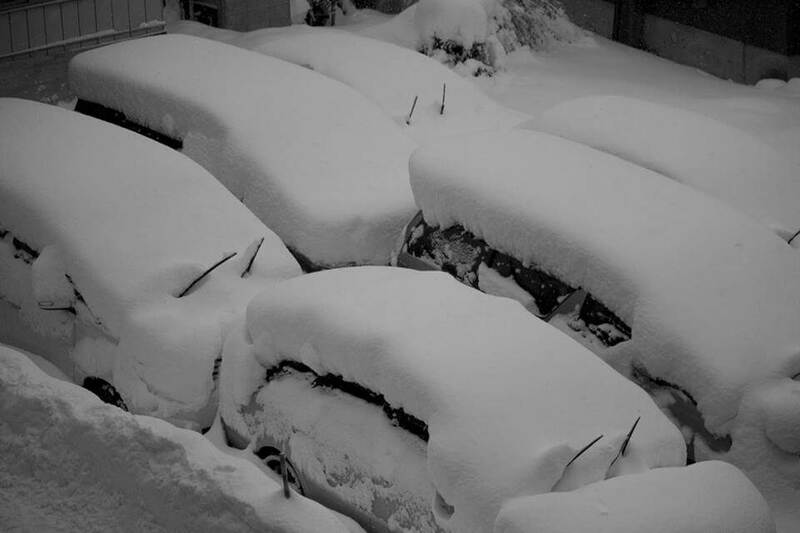 Parking can be a problem too as is very limited and there is a good chance you will have to dig it out in winter! 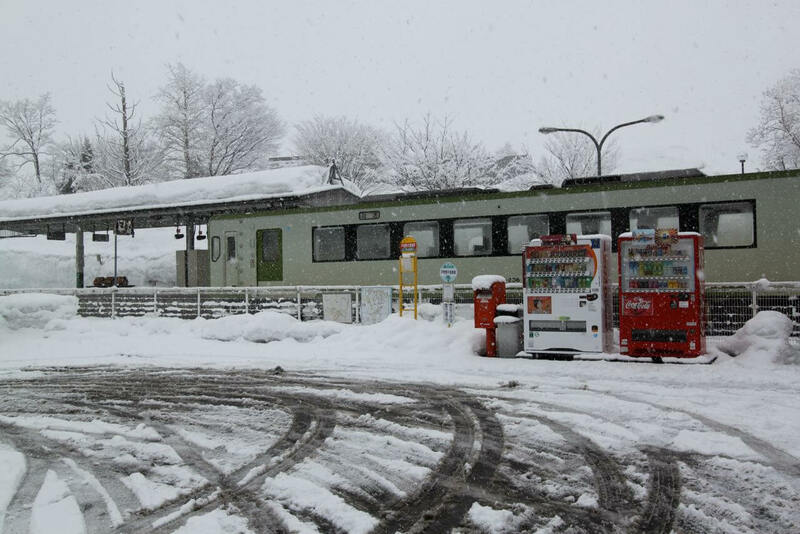 Getting to Nozawa Onsen from Tokyo by car, especially in the winter, is a not easy trip. The cost, assuming you are renting a car, is not much less than taking the trains or buses and unless you are comfortable driving Japanese expressways the train or bus seems like a more sensible route. And remember since you will likely be coming in the winter anticipate hazardous road conditions especially as you approach Nozawa Onsen. If you do chose to drive then you will want a 4wd and winter tyres or take tyre chains, extra antifreeze and your GPS or a good map. One option is to drive to Yuzawa via the Kanetsu Expressway. Then from the Shiozawa Ishiuchi Interchange take routes Route 353 and Route 117 though the mountain range to Nozawa Onsen. We look forward to welcoming you to ski Japan soon. You can also ship your luggage directly from the Airport to us, so that you don’t have to carry it around if you’re doing some sight-seeing! Your Nozawa Onsen accommodation may be able to arrange for you to be met at the Tokyo airport by a private taxi/bus that will take you directly to their establishment for around 12,000 yen per person (prices vary). If you arrange your own transportation, the first leg of the trip is on one of Japan’s speedy and efficient bullet trains. From the Tokyo or Ueno Train Station you catch the Hokuriku Bullet Train (Hokuriku Shinkansen) directly to the Iiyama Train Station takes about 1 Hour 45 minutes, then transfer to the Nozawa Onsen Bus for the final leg of the trip is just 20 Minutes. Japan’s bullet trains are clean, comfortable and run on time. If you chose to take the local trains you will catch the local train at the Nagano Train Station to Togari Nozawa Onsen Train Station. This train trip will take about 60 minutes. 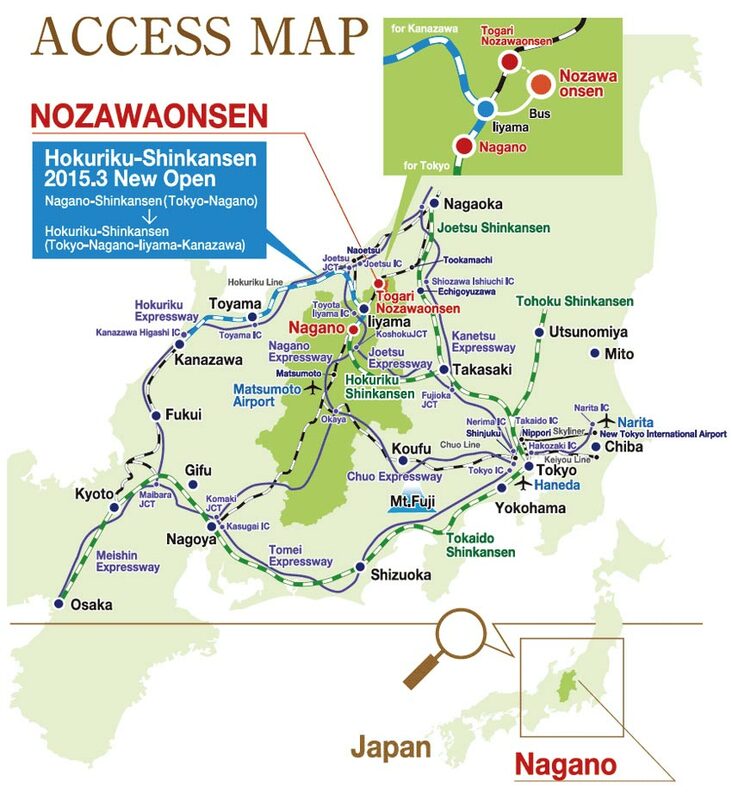 The cost for a combination train/bus ride to Nozawa Onsen will range between 9,000-13,000 yen per person depending on the arrangements you chose. The cost, assuming you are renting a car, is not much less than taking the trains or buses and unless you are comfortable driving Japanese expressways the train or bus seems like a more sensible route. And remember, since you will likely be coming in the winter anticipate hazardous road conditions especially as you approach Nozawa Onsen. If you do chose to drive take tire chains, extra antifreeze and your GPS or a good map. First you will drive to Yuzawa via the Kanetsu Expressway. Then from the Shiozawa Ishiuchi Interchange take routes Route 353 and Route 117 though the mountain range to Nozawa Onsen. We have a great map of the town, showing all the areas of interest. You can find it here.